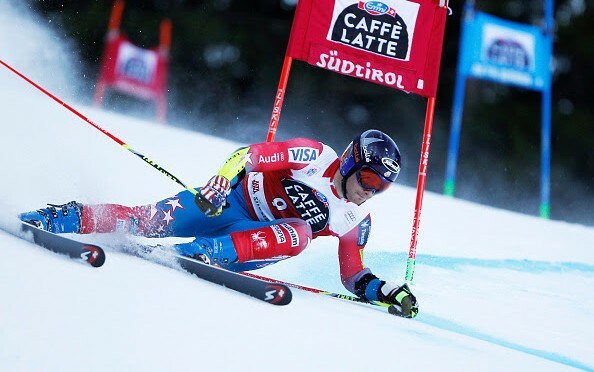 Alta Badia, Italy – Austria’s Marcel Hirscher won his third-straight Audi FIS Alpine World Cup giant slalom on Sunday, and became the only racer in history to win three times at Alta Badia. Henrik Kristoffersen of Norway was second, followed by Victor Muffat-Jeandet of France in third. Park City, Utah’s Ted Ligety led a recharged men’s tech team, just missing the podium in fourth, as the Americans rebounded from a disappointing first run performance. Ligety was followed by Tim Jitloff (Reno, Nev.) in seventh, and Tommy Ford (Bend, Ore.) in 12th. “I finally let it go second run and skied really well … skied clean,” Ford said. Ligety and Jitloff sat 1-2 on the leaderboard midway through the second run after nailing the middle section and carrying speed into a pair of rollers (that will be used for Monday’s parallel giant slalom) into the finish. They watched as racer after racer failed to knock them off the leaderboard. France’s Mathieu Faivre and Alexis Pinturault finally split the U.S. leaders, knocking Jitloff to fourth as Ligety still sat atop the leaderboard with three racers remaining. However, the victory wasn’t meant to be for Ligety as Muffat-Jeandet moved into the lead, followed by the 21-year-old Kristoffersen, and finally Hirscher, whose victory solidified his lead atop the World Cup giant slalom standings with another 100 World Cup points. World Cup ski racing began in 1967 with events only in downhill, giant slalom and slalom. Then, over the years, different disciplines were added to the program: combined in 1975, City Event in 1975, super G in 1982 and super combined in 2005. Parallel giant slalom will make its debut tonight. The goal is to showcase head-to-head fights between the best giant slalom racers in a compact product aimed at television audiences. Sixteen racers pre-qualify through the giant slalom WCSL (World Cup Starting List), joined by the best four overall racers present in Alta Badia (Svindal, Jansrud, Weibrecht and Myhrer), and an additional 12 who qualified through Sunday’s first run. So in total, 32 athletes start Monday’s race. Match-ups start with 1/16 finals featuring two runs, which means that the athletes ski one run on the red course and one on the blue. Then, from the 1/8 finals on, it’s a one-run knockout format: the fastest advances, the slowest is out. The lower bib number (higher ranked racer) choses the course. The action continues to the big final.